Google once brashly believed that its engineers could invent a solution to the world’s energy problems. These days, the company has a new strategy: finance less risky clean-energy projects where it can actually make an impact. Last year, Google invested more than ever in renewable power, spending $880 million to underwrite conventional clean-energy projects such as solar panels on California rooftops. But that isn’t the role the company envisioned for itself in 2007, when cofounder and current CEO Larry Page declared that it would get into energy research directly, intending to "rapidly" invent cheap ways to generate "renewable electricity at globally significant scale." Google believed its creativity and innovation would make the difference. It created an in-house plan to wean the United States off fossil fuel in 22 years. It posted jobs for engineers who could speed up design of renewable-energy projects and put a team to work improving the heliostat, a mirrored device that focuses the sun’s rays to make thermal energy. 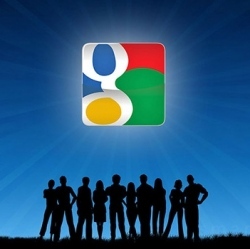 Its philanthropy arm, Google.org, began investing in startups with far-out ideas. Google’s founders were directly involved. One startup, Makani Power, originally planned to move boats using kites, but Page and cofounder Sergey Brin convinced it to pursue high-altitude flying wind turbines instead. "They were pretty fearless," says Makani CEO Corwin Hardham. "They said, ‘This is a risky thing, we don’t know yet if it’s going to work out, but we think this has promise.’"
The company’s speedy ways wowed energy experts, as did its goal of producing a gigawatt of renewable electricity at prices competitive with fossil fuels. "Being at Google, it was fascinating to see how rapidly things could scale. I was enthralled by it," says Dan Reicher, Google’s former director of climate change and energy initiatives, who left the company in 2010 to head Stanford University’s Steyer-Taylor Center for Energy Policy and Finance. "That struck me as a very fundamental difference—the software world measures time frames in months." In comparison, he notes, solar panels have been available for 30 years but account for less than 1 percent of total U.S. electricity production. Last November, however, Google killed the program, known as RE<C (for renewable energy cheaper than coal), along with several other endeavors that hadn’t had the desired results. Other companies, Google said, were in a better position to advance specific energy technologies. The truth was Google’s eclectic bets on potentially disruptive energy innovations never got very far. Take PowerMeter, another canceled project. The software was meant to help homeowners monitor their energy use. Energy entrepreneur Kurt Brown says it had a major flaw: "Their interface was for nerds. It was something mostly a smart Googler would be intrigued by." The cancelled plans show the hazards of believing that success in computing—where products can take days to prototype—can carry over to energy. "The IT attitude is great when combined with humility with what is possible," says Jonathan Koomey, an expert on the environmental effects of computing at Stanford University. "But if you think you are going to overhaul the whole energy industry overnight, just because you did it in software—that is false, that is hubris."